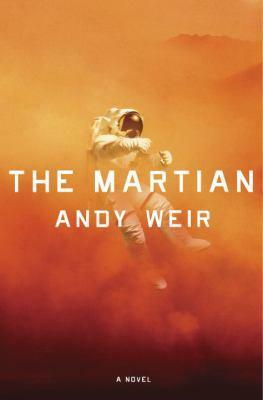 A wonderful debut novel by Andy Weir (interesting to note: the author actually self-published this book in 2011 and was selling it for 99 cents on Amazon. Crown Publishing purchased it and turned it into a bestseller in 2014.) This is a science-fiction story with a comedic element. The author does a great job of blending technical science with a clever protagonist, who is guaranteed to make you laugh out loud. To summarize, a NASA mission to Mars is forced to evacuate due to a dust storm but end up leaving a man behind. The crew believe him to be dead, but he has actually survived. Astronaut, Mark Watney, wakes up to find that he is alone on Mars. He is quick to grasp his situation, and he immediately gets to work on surviving. Using all of his resources, Mark tries his best to stay alive on an uninhabitable and unforgiving planet (that lacks oxygen, food, and water) all without any means to communicate with Earth. He explains quite a bit of the science and the math required to keep him alive and his methods are ingenious, think MacGyver in outerspace. The novel also includes a compelling cast of supporting characters, mostly the team at NASA, who are trying their best to bring Mark home. The book is fast-paced, and teaches the reader quite a bit about what life would be like on Mars. There is a movie in the works, with an all-star cast, and I really hope that they can do this book justice. A 5 star book, especially for any readers who enjoy science-fiction.